The software industry isn’t like the car industry. There aren’t standard functions that come with every platform. 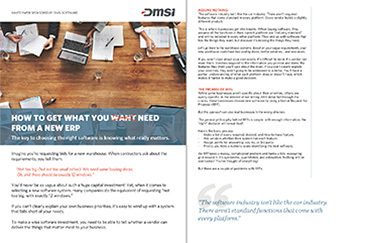 In this white paper, you will learn about choosing the right software solution based on actual business needs.